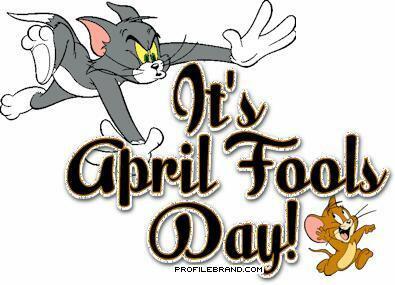 Today is April Fool’s Day in the US. It is probably the only day of the year where my periodic dumb stuff is masked by the fact that people expect you to do foolish things, the only difference is that I don’t do them on purpose. Hi, I know it is April fool’s day but the reason I am behind today is that I did a promotional video for Kiwanis International yesterday and ended up not doing some of what needed to be done, so now today I am running behind. Yep, you guessed it, a Daily published on April first twelve years ago. April is going to be a big month for me. Five days from today, I will be meeting with Kiwanis International leaders and UNICEF as we develop a plan to continue our global aid to children. Nine days from today a colleague and me will be meeting with the US Agency for International Development (USAID) and UNICEF in Washington to identify countries where children need our help. I am grateful that the war will not interfere with USAID’s efforts to help protect the health of the children of the world. Ten days from today my wife and I will be celebrating our fiftieth wedding anniversary with friends and family. Twenty-four days from today we will begin a trip that will include an ocean voyage with friends to the Caribbean, and then across the Atlantic to the Canary Islands, Madera and the coast of Spain. We will spend a few days in Barcelona before we fly back to the states. Some have questioned the wisdom of a trip like ours at a time like this, my feeling is, I’ll be damned if I am going to let terrorists force me to change my life style. Yesterday I received an e-mail from a friend who was upset with my comments about wishing that the Secretary of Defense had listened to the military professionals and had allowed for the build up of more ground support troops in Iraq. My friend said that I had obviously had been reading the liberal press and that Secretary Rumsfeld never said the war would be won in the matter of days, which is something I never said he said. My concern came from the interviews with the military in Iraq, and the comments of loyal retired military leaders. I thought it was especially interesting that the command spokesmen were quoted as saying that there was absolutely no difference of opinion between the civilian and military leadership at the point of the invasion and made no reference to pre-invasion plan modifications. Of course none of this makes much difference; I just felt badly that my friend assumed I said that Rumsfeld had said something he never said and that he assumed my concern for providing our troops adequate ground support was triggered by comments in the so-called liberal press. It is the potential polarization of the public and the “you are with me or against me” syndrome that is frightening to me; it has been traditional in our country that unfettered open debate keeps us strong, and you know what? I have not talked to a single person who does not have the highest regard and concern for those we have sent to war. I just pray that it ends soon without major loss of life. Sorry, I did it again. It turns out that I suffer from a virus called the Senile Virus that even the most advanced programs from Norton cannot take care of, so be warned, it appears to affect those of us who were born before 1950! Causes you to send same e-mail twice. Causes you to send blank e-mail. Causes you to send to the wrong person. Causes you to send back to the person who sent it to you. Causes you to forget to attach the attachment. That is great, Andrew, but can you go any higher?, the teacher asked. The temperature had taken an overnight plunge, and Minnesota reaffirmed its reputation as one of the nation’s coldest states. Despite a wind-chill of minus 40, we steelworkers erected a TV tower in a Minneapolis, St. Paul suburb showed up for work. By 9 a.m., a tall Texan climbed down from the tower and entered the office trailer. He took his lunch pail from the shelf and headed for the door. “Where’s home?” the foreman persisted. Slow people always walk side by side, even if they don’t know each other. They drive side by side, too. If they can’t find another slow driver to pair up with, they drive in the fast lane. Slow walkers never look back. When they drive, they never look in their rearview mirrors, either. Slow people drift sideways so they’ll block the path of anyone trying to pass them. If two people or vehicles are trying to get around them at the same time, they drift into the path of the one that is moving at the highest speed. It is more important to have fun than to be funny. She said: I was horrified to find my son eating out of the sugar bowl. “Don’t let me catch you doing that again,” I scolded.